Wondering why you need a Nerf sword? If you are looking for a good weapon for your next Nerf war, one of the more popular options is to go in for a Nerf sword. They don’t just help you attack but defend as well. What is a Nerf sword? Nerf swords are considered to be one of the oldest weapons that many still love to use, is what you would love as a Nerf lover. 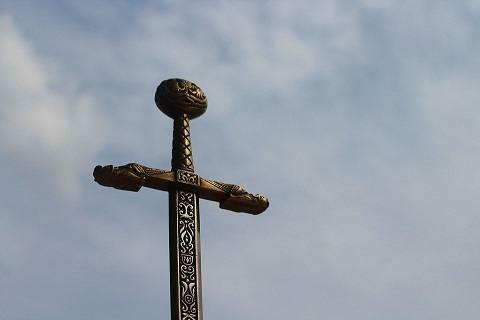 ?The first ever sword was found centuries back in the bronze age, around 1600 BC. And then, they developed further in the iron age to be stronger and lethal. You can’t use one of them when you are playing Nerf games, because well, you wouldn’t really want one to die out there. However, Nerf swords do come in handy during Nerf wars, and we will take a look why. Why Would You Need a Sword in a Nerf War? Everyone likes nerf battle games and while most people would prefer a blaster to combat with enemies, swords have their own charm. Here are a few questions that you need to ask yourself. What if your blasters are out of darts? What if the mechanism used in blasters are get failed? What if you surrounded in a zombie battle and can’t use blaster only because zombies are noise sensitive? What Would You Love About a Nerf Sword? Here is where the Nerf swords series makes things easier for you. These swords are made up of foam and not dangerous for Your kids. Usually made of a stronger, more durable foam than the foam used for other ammunitions like darts. Swords fell in the category of melee weapons. The swords fit into the back sheath of the Nerf N-Strike tactical vest and the Nerf N-Strike bandolier kit. Swords are what you need in zombie wars. Since zombies are attracted to noise, with a sword, you can silently attack them. Do not use it on the face or other sensitive body parts. Hard hitting is not allowed at all; else, you will be out of the game. With many of them made up of stronger and comparatively hard foams, you could easily damage items like jars around the house. Wondering what are the different types of Nerf swords you could buy? Here is a look at some of the more popular options. Zombie Strike Blade, if you are battling zombies. N-Force Klaw Hatchet, if you are looking for some good force. Zombie Strike Brainsaw, if you would rather take down those zombies more quickly. Marauder Long Sword, if you are looking for a strong weapon against your opposition. Rail Blade, which is a pretty much standard choice. Vendetta Double Sword, which combines two swords into one. Vantage Sword, that comes with a great design. Strikeblade, for better and easier gameplay. Depending on your budget, you can choose a Nerf sword for as low as of $2 or one as high as $500 or more.